Forum Index > Historical Arms Talk > Suit of armour of Gilbert von Saint Hilaire . Posted: Sat 23 Apr, 2016 4:48 am Post subject: Suit of armour of Gilbert von Saint Hilaire . Suit of armour of Gilbert von Saint Hilaire in the Heeresgeschichtliches Museum in Vienna. 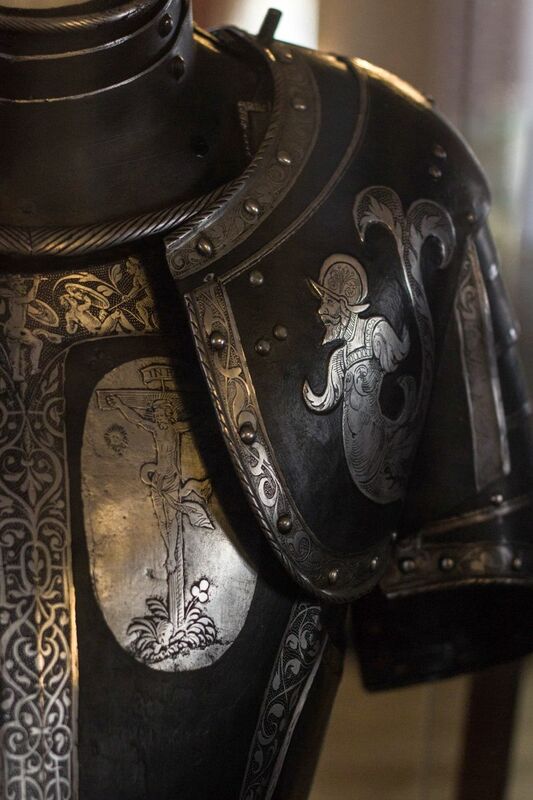 I ‘m looking for high resolution picture of the Suit of armour of Gilbert von Saint Hilaire,. I have ask to Museum to send me some good picture but Unfortunately I still not have received it. Any comment on it will be welcome. I would like to find high resolution close-up pictures.of the etching . I m looking for high resolution close-up pictures.of this etching.